If you’re looking to start your own blog, I have an offer for you that I’m sure would excite you. 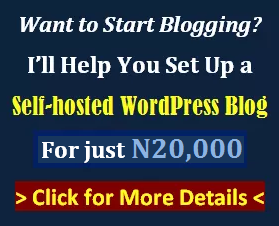 You need not be told anymore that having a self-hosted WordPress blog is the best way to kick-start your online business. And it is the best way to establish yourself as an expert in your niche or line of business. A free blog won’t take you anywhere! If you’ve yet to start your own blog because you cannot afford the cost of hosting and registration, I have good news for you. I mean, you can now get started with very little money. Namecheap, a US-based hosting company, is presently offering one-year domain registration and hosting (one year) for just $20! That’s the cheapest you can ever get from a top-quality foreign hosting company. Even Nigerian hosts aren’t that cheap. Now, I’m not sorry to say this: Most Nigerian hosting companies are suckers. They disappoint. They frustrate. They dupe. And their services are very limited. So, I warn you to stay away from them. A U.S.-based server with 99.9% uptime, which means your site won’t go off intermittently. 20GB disk space and unlimited bandwidth. At least 3 websites on each plan (or unlimited, depending on the plan you choose): If you want to host additional websites, you don’t need to buy another plan. Relatively cheap first-term and renewal prices. Responsive support; live chat available. First, click here to visit Namecheap.com. You’ll be taken to the order confirmation page. Click “Confirm Order”. On the next page, you’ll be required to create an account with Namecheap. Enter the required details and click “Create account and continue”. You’ll be taken to the “Account Contact Information” page. Enter your address, phone number and other required details, and click “Continue”. The next page displays your “Whois Contact Information” (contact details of the owner of a domain name as profiled with the domain name registrar). Confirm that this information is correct, and click “Continue”. You’ll be taken to the payment details page, where you’ll select a payment method (your debit card/ATM card, PayPal, or account funds). Choose your preferred method and enter all the required details. Then click “Continue”. On the next page, you’ll be required to confirm your order. And that’s it! You just registered your domain name successfully. You’ll receive an email from Namecheap to confirm this. Now, your next step is to purchase a hosting plan. You’ll see the various shared hosting plans offered by Namecheap. Choose the plan of your choice by clicking the “Add to cart” button under it. Select your domain name and click “Continue”. Now, complete the rest of the order process, which is about the same as that for domain name registration (explained above). 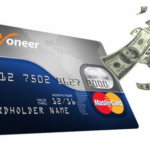 After your payment has been successfully processed, you’ll receive some emails from Namecheap. This might take some minutes, though. 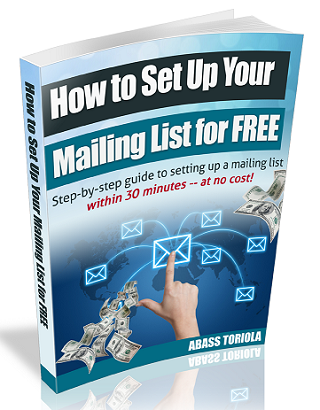 Look for the email with the subject, “Your Hosting Welcome Guide for yourdomain.com”. That email your cPanel login details and other important stuff regarding your hosting package. 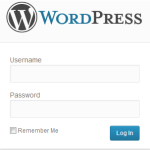 Your next step is to install your WordPress blog. To install it on your own, just click here and follow the steps (continue from step 2). It’s simple and straightforward, I assure you. If you grab this opportunity, you’ll thank me for it. Even Nigerian web hosting companies aren’t this cheap! 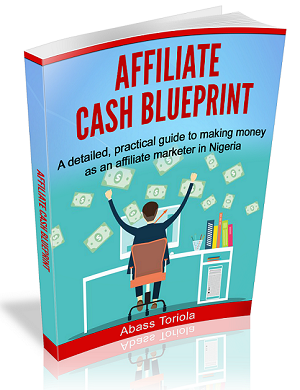 Remember, the sooner you start your online business, the sooner you’ll start making money. It goes without saying, you know? If you have any questions or thoughts, share them by leaving a comment. I’ll reply. PS. This page contains my Namecheap affiliate links, which means if you make a purchase through any of the links, I’ll get a commission (at no extra cost to you) to support my work. But this didn’t influence my recommendation, because all hosting services have similar programs. I recommend Namecheap because I presently have 3 websites hosted with them, and my experience with them so far has been fantastic. This is a Vital information that needed to be paid for but you offer it for free thank you. Abass is always giving help. Nice one my man! Thanks alot, you’ve been extremely helpful. Please I would like to know much it will take me to have my blog up and running with Name cheap. So I can get ready and dive in. My warmest regards. I will appreciate your response. I purchased a domain from NameCheap and was debited with my GTBank Naira MasterCard, but have not been given the domain. What should I do? What a wonderful article, thanks for this. sir, does the $20 covers all the expenses? When I host 2 sites does that mean I’ll be 2x the price? Nope. 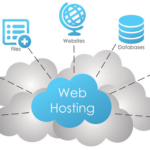 Your hosting plan can host up to 3 sites. 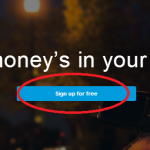 So, if you want to add a new site, all you need is to pay for the domain name. Please can this also be done for blogspot orndoes itnhave to be WordPress? Which is more advisable? Thanks for the post. It really helped me. Mr Abas, thanks for this mouthwatering offer. But I want to ask a question, please. What if I use this hosting plan on the platform of SITEBUILDER? I personally love the sitebuilder’s Dashboard. Very easy on the eye for me. You find everything you need presented on just one page so you don’t have to move from one page to another. But I need to know from you as an experienced blogger, is Sitebuilder a good site for blogging? Please, I want your very honest opinion. Thanks. What is the renewal price after the first year? Hi abass, does this offer still last? Can one reach you personally on that phone no? God’s blessings on you Abass. You are an inspiration. 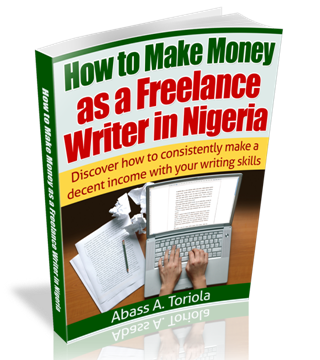 Thanks for this wonderful offer, I am really interested and want to get my own blog like u advised but I want to know if I can write different topics on one blog? Like small biz ideas and getting solutions to health related issues. Abass, I have interest. But let me ask you some questions not because I’m doubting you but for more clarification. 1. Can you guarantee that ASO will never disappoint whatsoever? 2. Have you tested and trusted ASO before you recommend it? 3. Are you sure you will have chance to render those support you mentioned in your email? That guarantee can never be given about ANY company in the world, no matter how reputable they might have been for decades or centuries. Even companies like Google can’t guarantee that they will NEVER disappoint their customers. I’m not a soothsayer, so there’s no way I can give such a guarantee. We only know about the past and present, no one can predict the future with certitude. But if ASO’s past and present is anything to go by, then chances are slim — but not null — that they will disappoint their customers. This is the best I can say: ASO is a reputable company, though not as popular as many other hosting sites. What attracted me to them in the first place was the positive reviews I found online about them. Every hosting company knows that things could go wrong, and that’s why they all offe money-back guarantees. And that’s why you can easily move your blog to a new host once your host starts to act silly. AS for ASO, you’ll be fine with them. That’s all. It took me two over two months of thorough research before settling for ASO. If you’ve been following this long for long enough, you’d have observed that I was recommending iPage before now. But I had to stop recommending them because sites/blogs hosted on their servers load slowly. Even though they promised a couple of months back to solve the problems ASAP, I felt it would be wrong to keep recommending a company whose services have started dwindling in quality. And for your information, iPage offers two-year hosting for $45 or thereabout. That’s just about the same amount ASO charges for one-year hosting. Who wouldn’t like to go for iPage’s offer? But the truth is, quality is what matters. I hate recommending to others what I can’t use myself, and that’s why I switched over to ASO. In the WordPress setup guide, I didn’t hide the fact that this blog is hosted on Hostgator. No doubt, Hostgator is a great company that delivers high quality services. But when recommending web hosts, I have comsider the financial capacity of my average reader. Paying around N1,900 per month for hosting is something beyond most Nigerians. So, I had to look for a cheap, yet high quality hosting company. During my two-months of thorough research, I found and researched about several other companies that also offer cheap services, but I found ASO to be the best of them all. And I chose to recommend ASO because they meet virtually all the criteria with which I chose Hostgator. If Hostgator hasn’t disappointed me for once after three years, I don’t expect any disappointment from ASO as well. Can I move to ASO? Absolute yes! Well, as of now, some people have registered for their ASO hosting plans, and I’ve started offering the support already. To me, all I listed isn’t too much. Now, to be frank with you, it’s not a free service. For each registration someone makes through my ASO affiliate link, I get a $50 commission. That’s about N8,000. And that’s enough to motivate me to render those services. So, in the end, I give immense value to my “guinea-pigs” by offering those services I listed, and I get a decent commission when they register. In addition, I was being realistic when I limited the slots to just 6. And that’s because I can’t accommodate more than that. If I try to, then the quality of support each person gets would be low, and I don’t want that. PS. I didn’t choose ASO because of the $50 commission. iPage offers a whopping $105 per sale, and most other companies offer at least $70 per sale. But I don’t mind the lower commission offered by ASO since their services are of high quality. That’s the most important thing, not the money I’ll make. Thank you very much bro. I want to be part of six persons. Ayodeji, then do the needful. I hope you know what I mean.